Folks, my promise of doing one of these every week didn't live up to be reality. For that, I apologize to anyone who has been eagerly waiting for the next 10 characters in my Top 100 list of best Star Wars characters since who knows when. 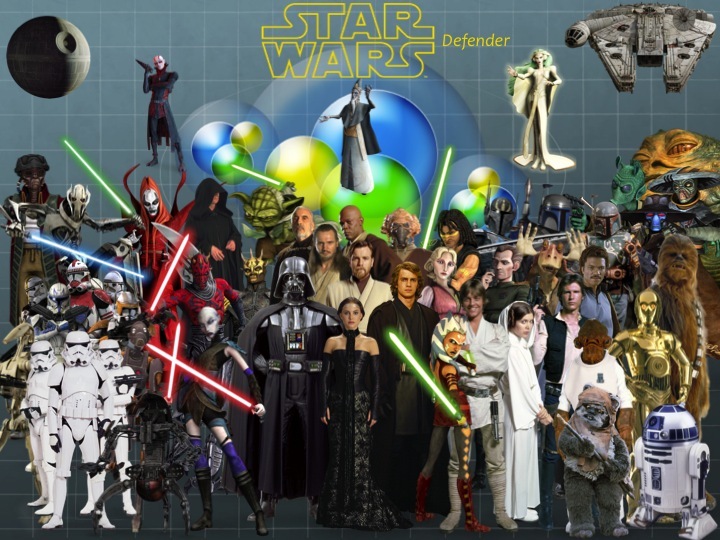 As we move higher into the list, the characters that show up have more and more prominent roles in both the films and The Clone Wars. Sebulba is the slimy Dug whom is the main rival of Anakin Skywalker in Phantom Menace. His nasty personality to cheat and win at all costs, gains him the title of the Podracer champion on Tatooine. As said by the slave owner, Watto, ''He always wins!''. At least, until Anakin beats him. One of the most memorable characters of Episode I. 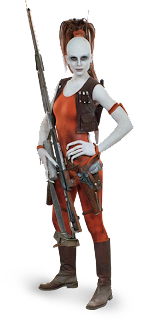 Making a brief cameo in Phantom Menace, and portrayed by none other than Jaime King in the Clone Wars, Aurra Sing is the deadly femme fatale bounty hunter of the Star Wars universe. She helps Cad Bane infiltrate and take hostage the Galactic Senate, and later, helps Boba Fett seek his revenge on Mace Windu. 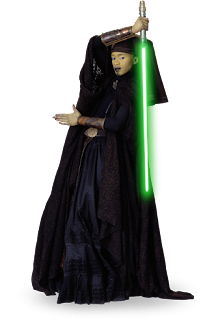 She goes as far as to try and assassinate Padme (for the millionth time), while being paid by Ziro to do so. Bonteri passed through a lot of hatred when he was first introduced (in particular by fans who didn't want him to be in a relationship with Ahsoka). Obviously, had this happened, it would not have been the first time and I've never fully understood why some fans take the Jedi Code a bit too seriously, as if Star Wars was part of the real world (common folks, Star Wars is meant to be about having fun, not about getting angry over a character breaking the rules over a fictional code that doesn't even exist). Anyway, going back to Lux, he's a character that has been forced to be on his own, and defend himself on his own terms, after the death of both his mom and dad. He tries to forge an alliance with Death Watch in order to enact revenge on Count Dooku, but thankfully Ahsoka makes him wake up and realize how evil Pre Vizsla really is. He later is assisted by Ahsoka and the Gerrera's into freeing their homeworld Onderon from Separatist control. One of the characters of the Clone Wars, who has developed into a great character. Jerjerrod was lucky to have survived from Emperor Palpatine's displeasure with his apparent lack of progress on the Death Star II. He goes off to be less recognizable than Tarkin, mainly because Tarkin was a villain who seeked to increase his power and wasn't afraid of Vader, while Jerjerrod, like the rest of the other Imperial officers, is simply scared of Vader, and probably has nightmares that Palpatine will kill him with force electricity. This proves to show another reason why the Empire collapses quickly after the Battle of Endor (according to the films, and GL) being because it's own officers didn't like to be living in constant fear and serving a horrible tyranny. Master of Barriss Offee, Luminara is another Jedi we get to see in Episode II briefly, and aren't fully introduced until The Clone Wars. 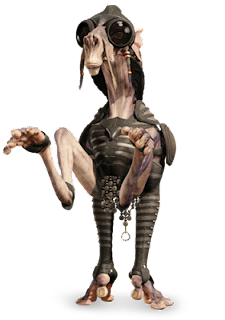 She was responsible, along with Ahsoka, for having Nute Gunray delivered to Coruscant, a mission that ends in failure thanks to Ventress. She later helps Anakin and Obi-Wan defeat the new Weapon's factory on Geonosis. 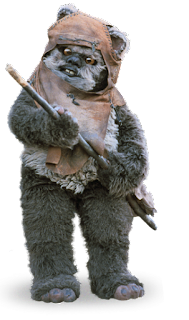 Wicket was among the brave Ewoks whom helped the Rebellion defeat the Empire in Return of the Jedi. One of the most common criticisms made in Jedi, is about how could a primitive civilization like the Ewoks defeat the technologically advanced Empire. Obviously, so many fail to realize that the Ewoks never really won, they merely distracted the Empire to think that ''the Rebels had fled into the woods'' They come out and surprise, they are overwhelmed. 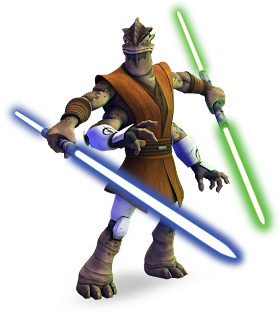 Pong Krell was the Besalisk Jedi whom replaced Anakin Skywalker during the Battle of Umbara and took control of the 501st Legion. He is so far, along with Anakin, Barriss and Dooku, the only Jedi we have seen fall to the dark side, and he apparently fell after he had a vision of the destruction of the Jedi Order. He wanted to become Dooku's apprentice, but that never happened due to the fact that Dogma ended up shooting him. 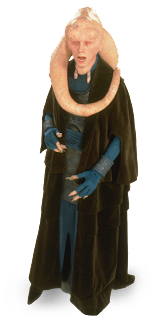 Bib Fortuna remains Jabba the Hutt's major-domo for the best part of 36 years (the time frame between TPM and ROTJ). He usually decides who can come and visit Jabba in Jabba's Palace. When Luke Skywalker comes to rescue Han Solo, he finds himself witnessing the destruction of Jabba's criminal empire. 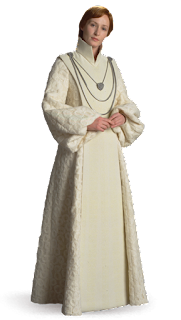 Mon Mothma was the Senator from Chandrilla whom along with Padme and Bail Organa, was becoming increasingly worried with Palpatine's power grab as the Clone Wars came closer to ending. She appears in the deleted scenes of Sith, creating the Delegation of 2000. She later becomes one of they key members of the Rebel Alliance, lasting up to the Battle of Endor. 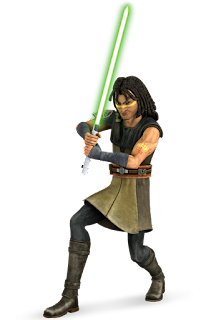 Quinlan Vos was a Jedi with a sarcastic sense of humor and rebellious attitude, whom trained Aayla Secura and was an expert tracker renowned for his ability to read memories from objects people handled. 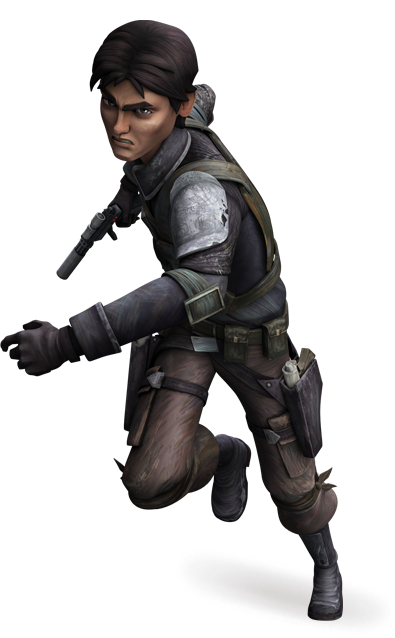 He goes off in a mission in the Clone Wars episode ''Hunt for Ziro'' with Obi-Wan in order to hunt down the escaped prisoner Ziro the Hutt and the bounty hunter Cad Bane. His unorthodox ways get in the nerve of Obi-Wan, who calls him ''crazy''. Simon Pegg and his annoying Star Wars bashing.